Clark Tracey is an award-winning drummer, composer, arranger and band leader, who spent thirty-five years on the road as a member of his father’s groups. He is also a record producer, the promoter of a jazz club and jazz festival, a teacher and the author of a drum tutorial. 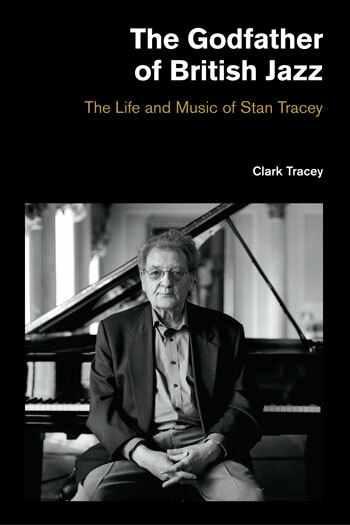 This is the first biography of jazz pianist and composer Stan Tracey CBE (1926-2013). Drawing on personal diaries, StanÃ¢â‚¬â„¢s many interviews over a career that spanned 70 years, and his own recollections of working with his father, Clark Tracey draws a picture of what made Stan Tracey a unique character in jazz music. In this very personal account, StanÃ¢â‚¬â„¢s wit and wisdom also come shining through in abundance. The book begins with StanÃ¢â‚¬â„¢s memories of war-torn London and his first experiences of hearing jazz. As a teenager, he joined ENSA and the RAF Gang Show. During the next three years he played at more venues than many musicians do in a lifetime, including a period in the Middle East. Once demobbed, Stan befriended pianist Eddie Thomson, vibraphonist and drummer Victor Feldman and clarinettist Vic Ash and began his professional career. He toured with Kenny BakerÃ¢â‚¬â„¢s band and the Kirchin Band before joining the Ted Heath Orchestra, after which he bagan recording under his own name. He was invited by Ronnie Scott to be the house pianist at ScottÃ¢â‚¬â„¢s new club, where his legendary status grew in the next six years. He accompanied giants of American jazz such as Stan Getz, Sonny Rollins, Roland Kirk, Dexter Gordon, Freddie Hubbard and many others. During this period he wrote and recorded the seminal album Under Milk Wood, which to this day remains his best selling work. Stan left RonnieÃ¢â‚¬â„¢s club during a period of drug addiction and in the 1970s found himself penniless. His wife Jackie employed her skill in the music business and began presenting concerts to keep Stan afloat, while he found new musical friends in the free/improvised idiom of the time, such as Mike Osborne and Keith Tippett. Commissions for suites emerged and StanÃ¢â‚¬â„¢s writing skills found an outlet again through the formation of his various groups that were to last for nearly thirty years. StanÃ¢â‚¬â„¢s achievements and awards are numerous and in many cases unique. As well as an OBE and a CBE, he received several lifetime achievement awards and in his last year was the first recipient of the Ivor Novello Jazz Award.